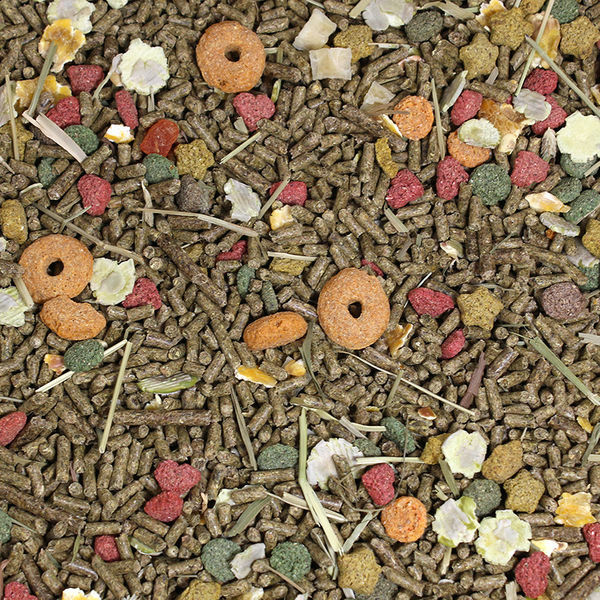 A high-fiber diet for guinea pigs made with a tasty blend of timothy hay, vegetables, and fortified nutrients. 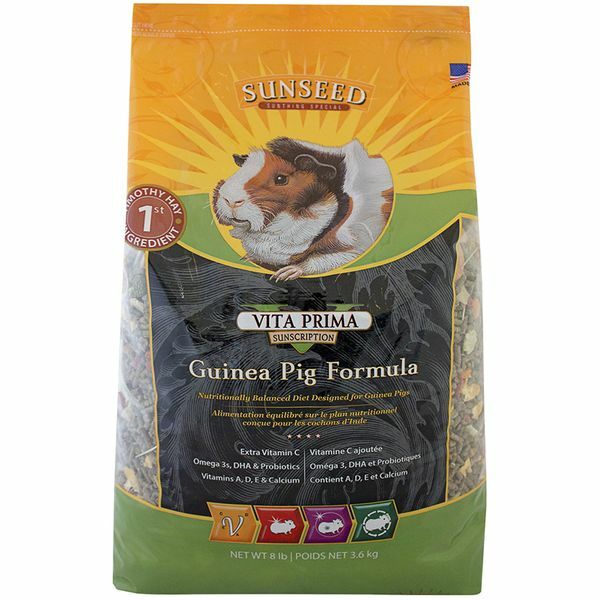 Vita Prima Sunscription Guinea Pig Formula is fortified with all the extra Vitamin C your guinea pig companion needs. 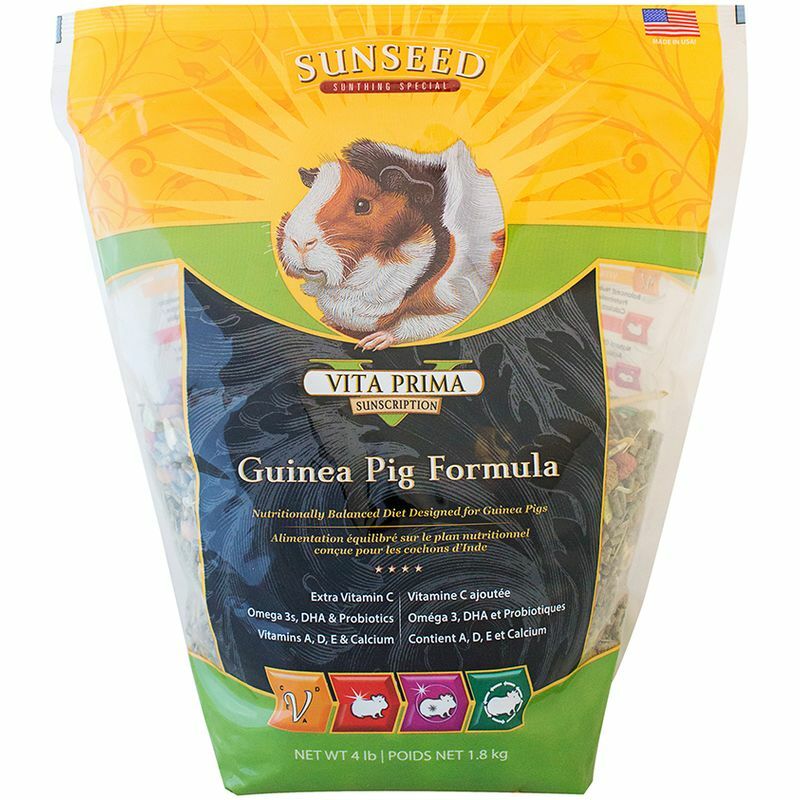 The delicious, timothy hay-based formula is the high-quality diet that guinea pigs want, and pet parents trust to supply their furry companion with all the key essential nutrients needed to keep them healthy and happy. Offer food in a heavy feeding bowl. Young guinea pigs should always have feed available to them. Adult guinea pigs can be fed ¼ to ½ cup. Fresh, clean water and hay should be available at all times. Store unused feed sealed in a cool, dry place. Ground Timothy Grass Hay, Soybean Hulls, Dehulled Soybean Meal, Flaked Peas, Ground Dehydrated Alfalfa Meal, Wheat Middlings, Timothy Grass Hay, Ground Wheat, Corn Gluten Meal, Dehydrated Carrots, Yeast Culture, Dehydrated Banana, Dehydrated Papaya, Salt, Corn Distillers Dried Grains with Solubles, Dried Plain Beet Pulp, Calcium Carbonate, Vegetable Oil, L-Ascorbyl-2-Polyphosphate, Ground Corn, Apple Juice Concentrate, Ground Oat Groats, Yucca Schidigera Extract, Choline Chloride, Ground-Steamed Rolled Oats, Ground Flaxseed, Fructooligosaccharide, Magnesium Oxide, Potassium Sulfate, Potassium Chloride, Magnesium Sulfate, Vitamin A Supplement, Vitamin E Supplement, Vitamin D3 Supplement, Niacin Supplement, Vitamin B12 Supplement, Riboflavin Supplement, d-Calcium Pantothenate, Menadione Sodium Bisulfite Complex, L-Lysine, Potassium Iodide, Biotin, Folic Acid, Thiamine Mononitrate, Pyridoxine Hydrochloride, Dried Lactobacillus Acidophilus Fermentation Product, Dried Lactobacillus Casei Fermentation Product, Dried Enterococcus Faecium Fermentation Product, Dried Bifidobacterium Bifidum Fermentation Product, Dried Aspergillus Oryzae Fermentation Product, Torula Dried Yeast, Zinc Sulfate, Cobalt Sulfate, Cobalt Glucoheptonate, Copper Sulfate, Ethylenediamine Dihydroiodide, Ferrous Sulfate, Manganese Sulfate, Zinc Methionine Complex, Manganese Methionine Complex, Copper Lysine Complex, DL-Methionine, Sodium Selenite, Aloe Vera Gel Concentrate, Color Added (Yellow 5, Yellow 6, Red 40, Blue 1, Titanium Dioxide). 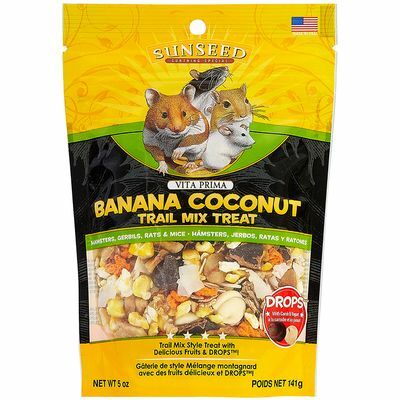 Delicious trail mix-style treat made with fruit, whole grains, and carob-flavored Drops™ for hamsters, gerbils, rats, and mice. 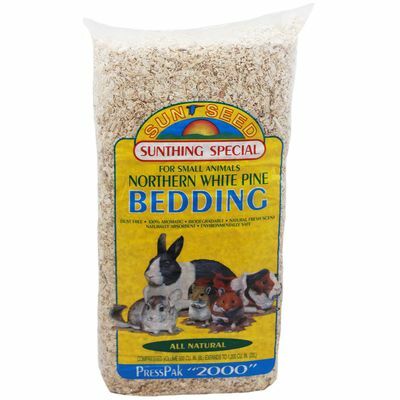 Naturally absorbent, shredded soft wood pine makes an excellent bedding and litter for many types of small animals.